The DiaEx Diamond Exchange is one of the major components of the GLITZKOIN blockchain project. The exchange is equipped with advanced features that are capable of handling both, B2B and B2C transactions. This is the first time that, blockchain technology is being deployed to such a wide community of diamond buyers and sellers. Conventional diamond trade is dominated by brokers and middlemen, entities that do little more than inflate the price of the precious stone with their, commissions and profit margins. In effect this increases the distance between the seller and buyer. While inflated prices are not suited for both B2B and B2C diamond trade, it is B2C buyers that face the brunt. This group consists of buyers that generally have, little or no professional knowledge regarding diamonds. The GLITZKOIN project was conceptualized to eliminate prominent inefficiencies in the diamond industry. One of the prime objectives of the project is to reduce the size of the supply chain. This would be accomplished by allowing direct trade on the DiaEx diamond exchange. No middlemen and no cloaked prices. Basically bringing buyers and sellers closer, irrespective of their geographic location or operating size. Diamond B2B trading typically involves buyers and sellers with a better understanding about diamonds. Issues related to the authenticity of the stone, implications of a certified diamond, general market conditions, approximate market prices, the 4Cs of a specific diamond etc are well understood by participants. 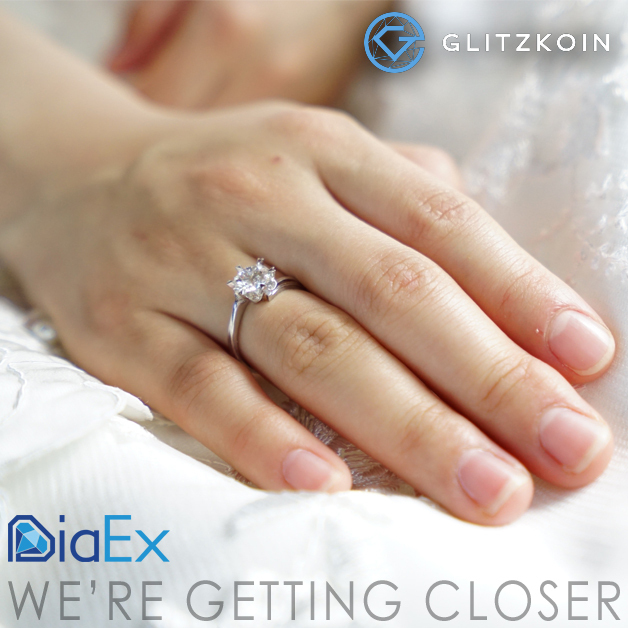 These participants on the GLITZKOIN DiaEx Diamond Exchange, would not need much handholding. Equipped with the superior environment that, the blockchain based diamond trading platform provides, B2B diamond traders can easily expand their business operations. These traders will best appreciate the use of the GTN token to settle payments. They realize that, the conventional banking system is hampering efficiency and market penetration. B2B participants on the GLITKZKOIN diamond exchange, will generate a steady and consistent demand for the GTN token. The entire structure of the DiaEx diamond exchange is designed to inspire confidence in both, B2B and B2C diamond traders. Buyers in this (B2C) category would consist of consumers, they would be buying the precious stone for themselves or for someone close to them. With little or no formal knowledge about diamonds, these buyers will best appreciate the process of limiting diamond listings to certified stones. Issues related to fake diamonds and the misrepresentation of the 4C parameters for a stone, will be eliminated through the certification process. Buyers in the B2C group could be spread all over the globe, they would not be confined to any specific diamond market. Challenges related to bank transfers, multiple currencies and conversions, will not be relevant – the GTN crypto token would save a lot of time and effort. Buyers can search the listed diamonds by entering the related parameters, with multiple choices to compare and pick from – the chances of being overcharged are highly reduced. As the GLITZKOIN project draws closer to the diamond community and to diamond lovers in general, crypto space participants continue to actively support the GTN token by trading the token on the crypto exchange. It really is a win-win scenario for everyone.